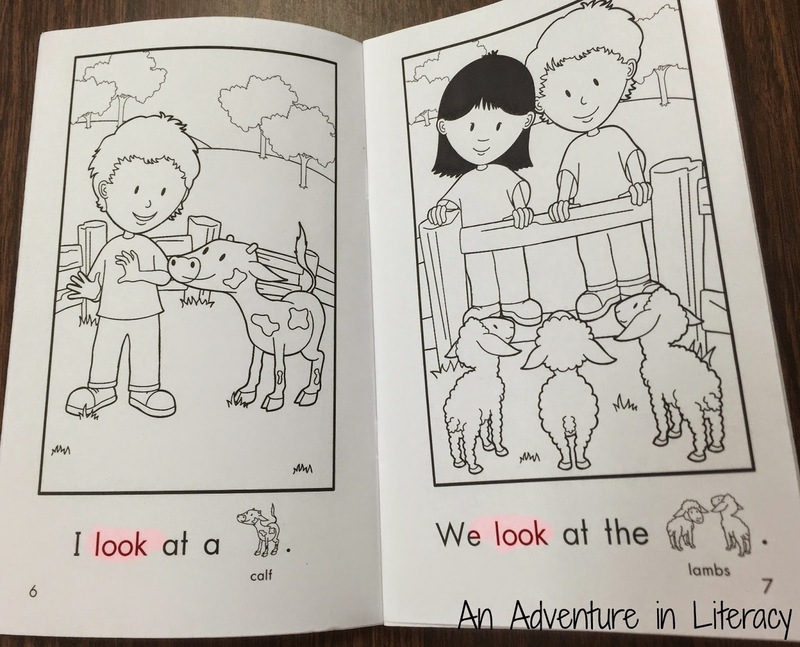 We welcome another guest blogger to Literacy Land, Jen from an Adventure in Literacy is here to give us more information on the difference between sight words and high frequency words. Hello Literacy Land readers! This is Jen from An Adventure in Literacy. I've had fun literacy teaching adventures in preschool special ed, kindergarten, as a K-2 reading specialist, and currently in first grade. I like to move around and gain different teaching perspectives from each grade I teach. 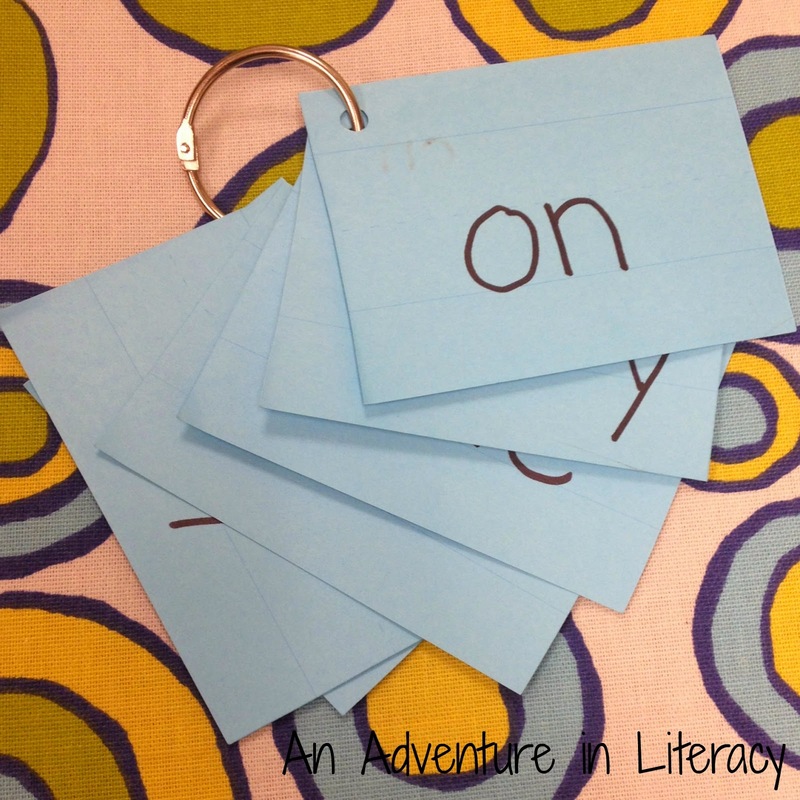 I'm excited to be guest blogging on Adventures in Literacy Land to share some activities I use with teaching high frequency words. The terms sight words and high frequency words are often used interchangeably, but incorrectly, by teachers. 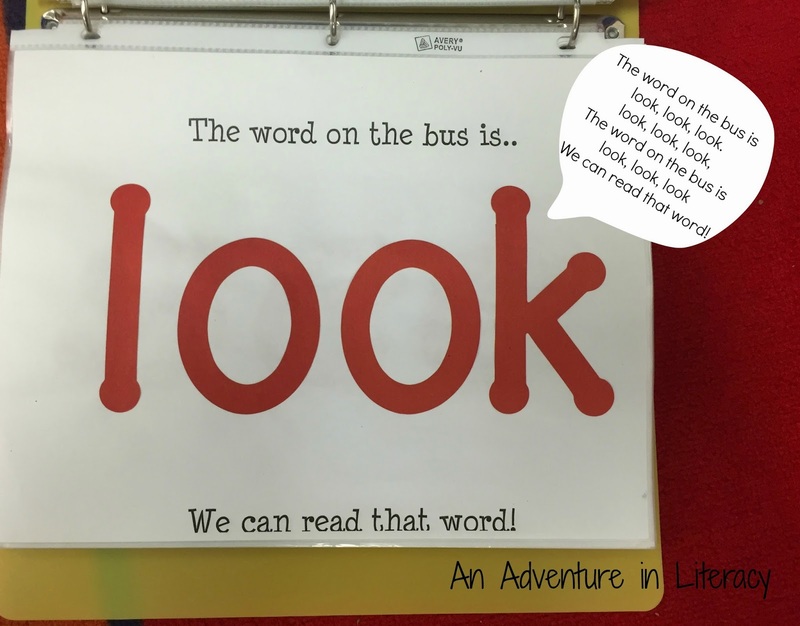 I know, I know, it is so much easier to just call all those words our students need to know sight words, but I thought I would clarify the difference before getting started with the fun stuff . High-frequency words are the most commonly occurring words in print. Fry's Instant Words and Dolch Words are examples of high frequency words (the, of, and, to, in, etc). Sight words are words that are recognized "at first sight". Any word can become a sight word once a student can read it instantly. As teachers, we want high-frequency words to become sight words so our students know those most commonly occurring words automatically. The bottom line is we want our students to have a large bank of words they know automatically. We want them to be able to read decodable and non-decodable words quickly and accurately at first glance. So here are a few instructional activities to learn those words. One of the first steps in developing a large sight word vocabulary is having concept of word. Until students have a firm concept of word they cannot remember words in isolation. Carla did a great post a few months ago on developing concept of word. Many of the activities used to develop concept of word are also useful in building word knowledge. I always tell my students "The best way to become a better reader is to read, read, read!". Reading and rereading text at a student's instructional or independent level provides repeated exposure to words in context . 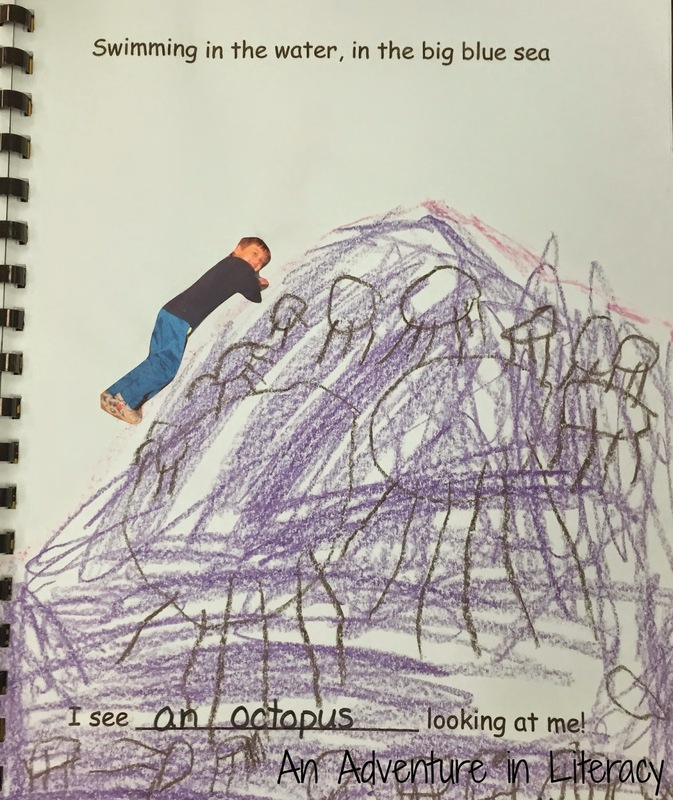 Children begin to remember words they have seen in context. Reading A to Z is a subscription site that has a wealth of printable and projectable leveled books including high frequency word books. There are many other publishers with great high frequency word readers too. Repetitive text gives students repeated exposure to high frequency words or phrases. Highlighting targeted words or playing "I Spy" with engaging pointers is always a hit and really helps students focus on that word in context. 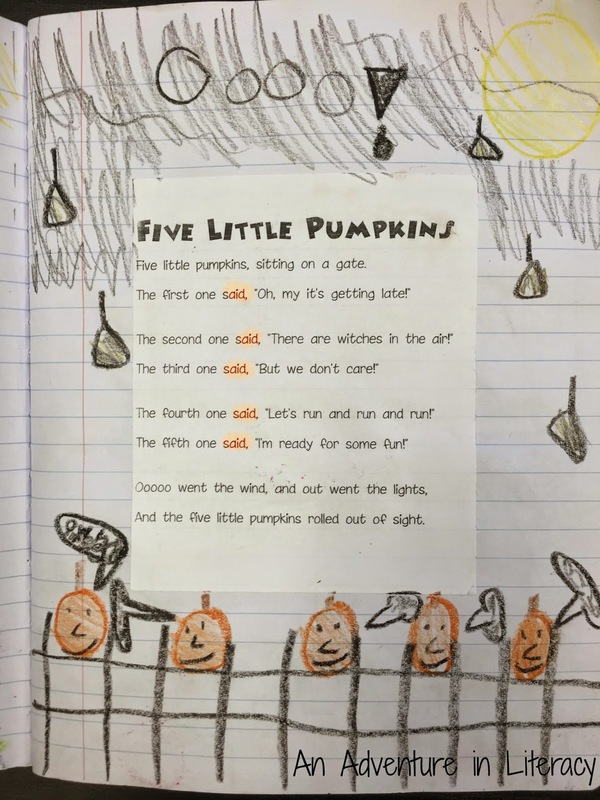 Poems and songs offer many opportunities to read high frequency words in context. My students have a poetry notebook where they add a poem or song weekly. They keep these in their book boxes for rereading and to help promote fluency. Teaching words through music gives students an auditory cue to go along with the visual. 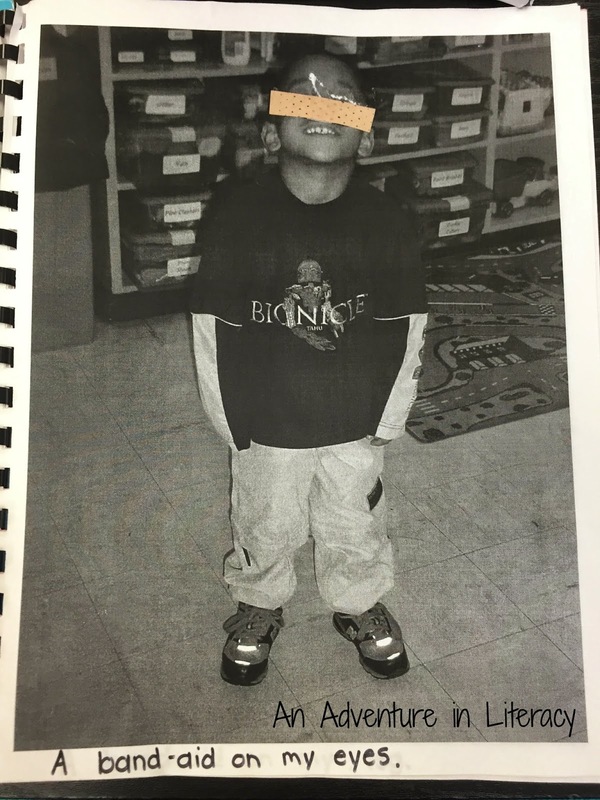 In kindergarten we had a class book called "The Words on the Bus" sung to "The Wheels on the Bus". As we learned new words we would add them to our song book and sing the words whenever we had a few extra minutes. As teachers we do all of these great activities to make the words stick, but behold, there are still some students that just simply cannot remember the words. Or they may get stuck on just a few words. It can be so frustrating!!!! High frequency words are tough for students because many of the words do not have concrete meanings that help students make learning connections. One of my favorite (and most successful) word activities is to have the students put those tough words in context on a word ring. This is individualized so it can be time consuming. However, the benefits far outweigh the time spent! 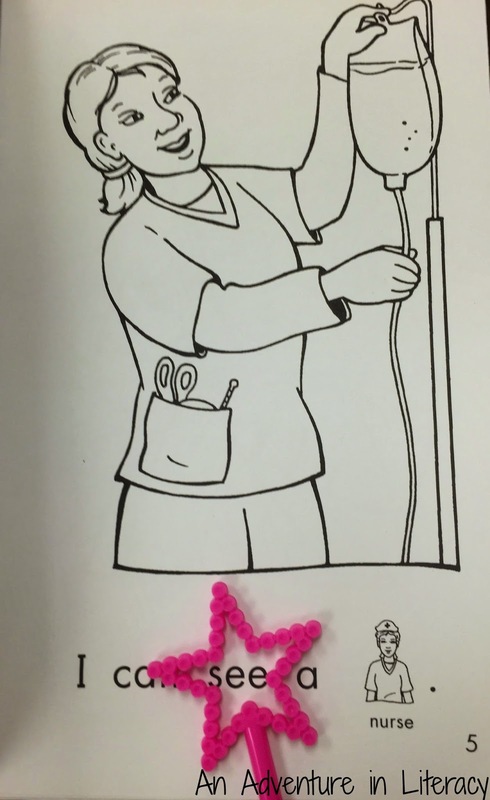 Choose a few words that the student is having trouble with. Write one word on the front of the card. 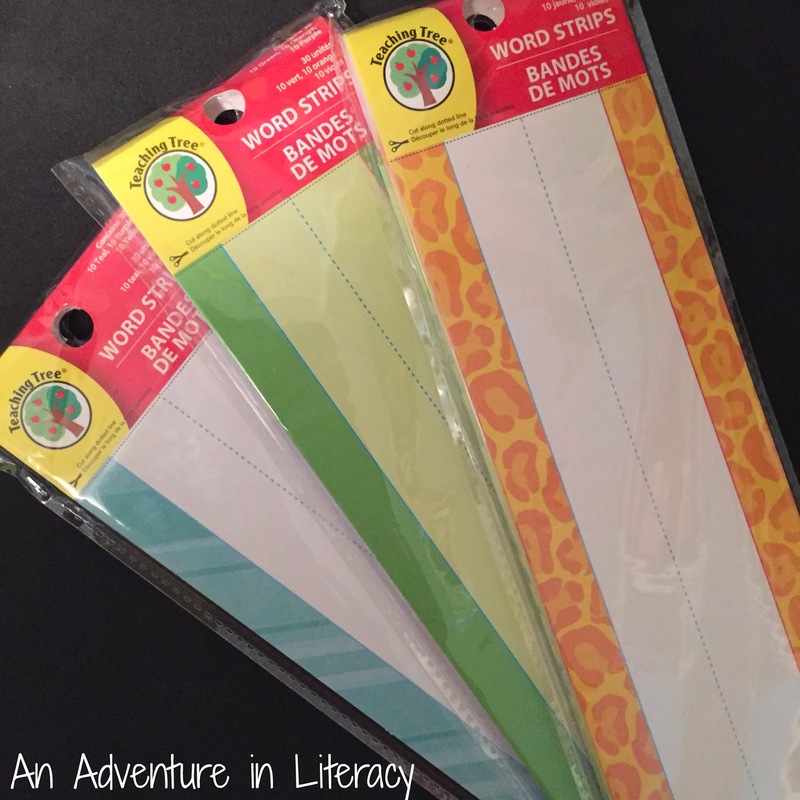 I like to use these fun colored strips from Dollar Tree, but cut up sentence strips or index cards work well too. Have the student come up with a sentence using that word. This part can take awhile, but DO NOT give the student a sentence-it must come from them so they construct their own meaning. (This is also a sneaky way to get them to practice constructing complete sentences.) Write the sentence on the back of the card making the target word bold. A double sided black sharpie is the perfect tool for writing the cards. Punch a hole in the corner of the card and place the word cards on a ring. 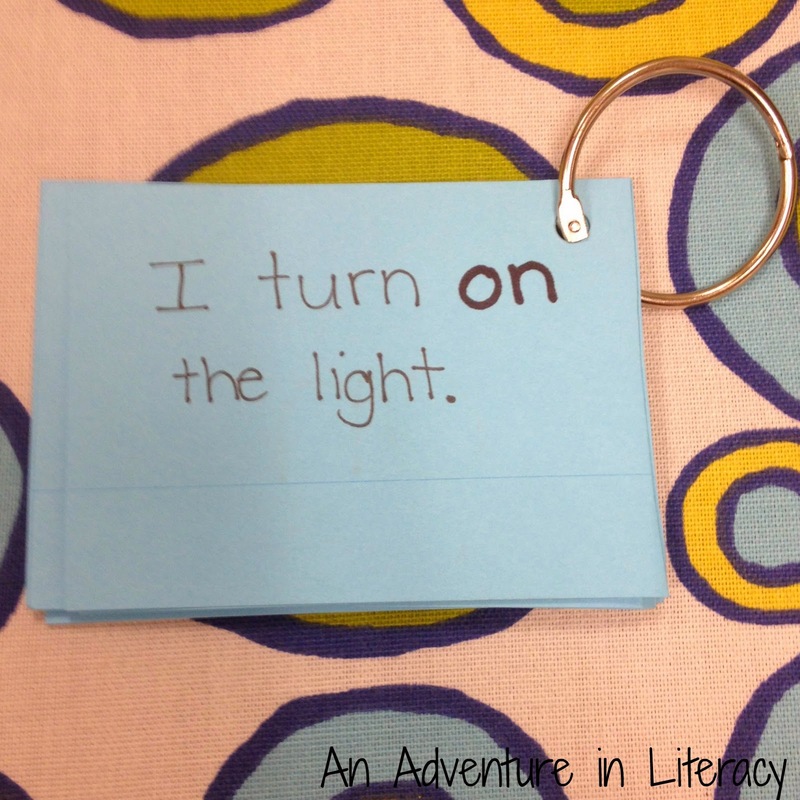 Read the word to the student and flip the card over and read the sentence. Repeat for the remaining words. Next, have the student read the word followed by the sentence for each word. Help them out if they get stuck. You will be pleasantly surprised at how well they are recalling the words because they have given them their own meaning. I have my students keep the word rings in their book boxes so they are always handy to practice. For extra practice I call them to read me their word rings frequently. Once the rings are made, it only takes a minute to read the cards so I can grab them at random times during the day. Even my struggling readers enjoy practicing the word rings because they had ownership is making them. As students begin to learn the words you can have them transfer the known words to another ring or a word bank. Keep adding new words to the ring. I'm a fan of the word rings because the custom sentences give students exposure to many high frequency words they may not have learned yet. Reading the sentences also helps promote fluency, so double bang for your buck! Thanks so much for letting me hang out in Literacy Land and share some of my reading adventures! I hope you've grabbed a new idea or two. 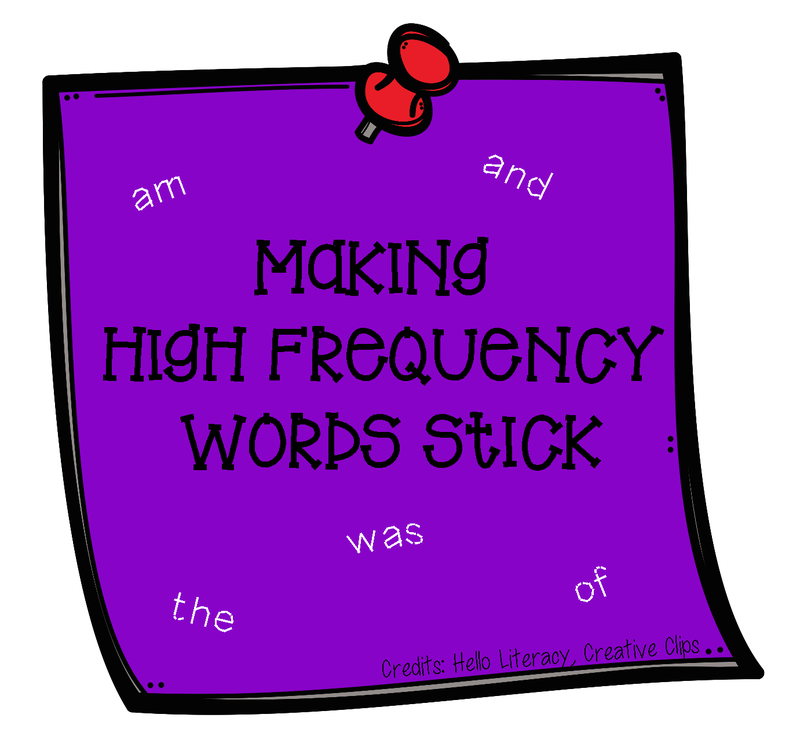 Please share your thoughts and ideas for teaching high frequency or sight words in the comments. We'd love to hear from you! I had always wondered if sight words and high-frequency words were synonymous. Great post, and great ideas of how to learn new words! Thanks! Thanks Amanda! I'm glad the post could clear up the difference and give you some ideas! Great idea....combining learning and fun! I'm working with my 5 year old now on "sight words" (aka: high frequency words). Oddly enough she can read them with no problem but often misspells them.